A website serves many functions, but one of the most important features is that it helps to build your brand and image, which can influence your reputation as a business. 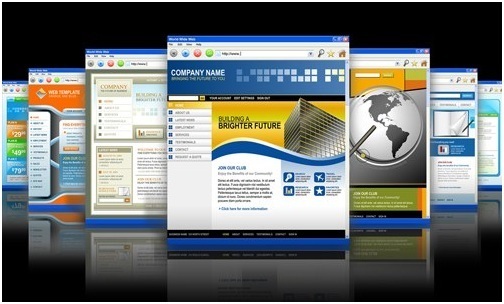 It cannot be emphasized enough, therefore, the importance of ensuring your website looks as professional as possible. How is that achieved? Visitors to a website decide whether to stay or not within a matter of seconds, so a professional website should be simple, well organised, clutter free and easy to use and understand. According to The Guardian bad navigation and information architecture (the way content is structured) can cost you in lost sales, so keep it simple and intuitive. Your website exists for a purpose – whether it is to provide information or to encourage sales – visitors to your site will need to know what you want them to do and how they can achieve this. According to Forbes Magazine a great website will guide your traffic where you want them to end up. Being clear and precise with your call to action makes your site look professional and helps to achieve its goal. With more and more of us buying online, it is increasingly important to make sure that customers know who they are dealing with, especially if you are a little-known organisation. To increase your professional image, make sure to always include an ‘about us’ section on your website, that details your company history, your ethos, values and what the company is about. This can help to increase the personalised touch, while adding credibility about your organisation. The most professional-looking websites are those that have been carefully executed, not cobbled together as an after thought. Spending time and money getting your website to look good is a great investment for any company, so unless you are blessed with design skills, it is worthwhile getting a reputable business to design and build a website for you, such as web design Stroud based business spearsouthwest.co.uk. A professional design not only looks better, but expert guidance can ensure that your site is easy to navigate and represents your brand and image perfectly. How a website is put together, with its choice of colours, images and fonts, can all play a crucial part in how its professional image is perceived by a visitor. Using too many colours can, for example, make the site look overbearing, while complicated fonts make text hard to read. Not only will visitors click off your site, but it could hamper your reputation as a professional organisation. Paying attention to detail can help to ensure your website looks professional, so it is important to keep it up to date and remove any errors, spelling mistakes or broken links, which may affect your credibility. Surprisingly, many businesses fail to update their contact details if they change them (or include them in the first place! ), yet this is the first port of call that visitors or customers will take to get in touch with you.